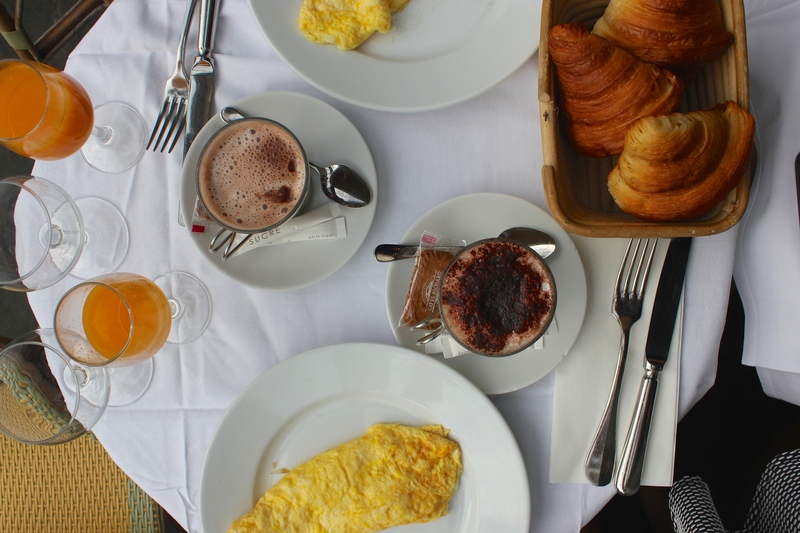 Some of my best memories of Paris from my last visit were the incredible breakfasts that I shared with my Dad. We love our breakfast and of course made it priority. This visit was no different! The first restaurant we went to for breakfast was called ‘Le Arts & Metiers’ in Le Marais. This was the place Dad and I fell in love with on our last visit. We ordered the Petit Dejeuner, which simply means ‘breakfast.’ It included a freshly squeezed orange juice, a croissant, jam, bread, eggs (cooked however the chef chooses to cook it) and a coffee. By the end of this, of course we were absolutely filled to the brim, but it just was all so delicious! The croissants at this place were the best I have tried, and as soon as I set eyes on them, I just knew they would be good. I could see the layers and layers of puffed golden pastry, it just looked so crisp and buttery. The Petit Dejeuner’s continued each day, and each restaurant produced something rather similar to that first breakfast. Later on in the week we decided to try buying our breakfast from the local Boulangerie (bakery). 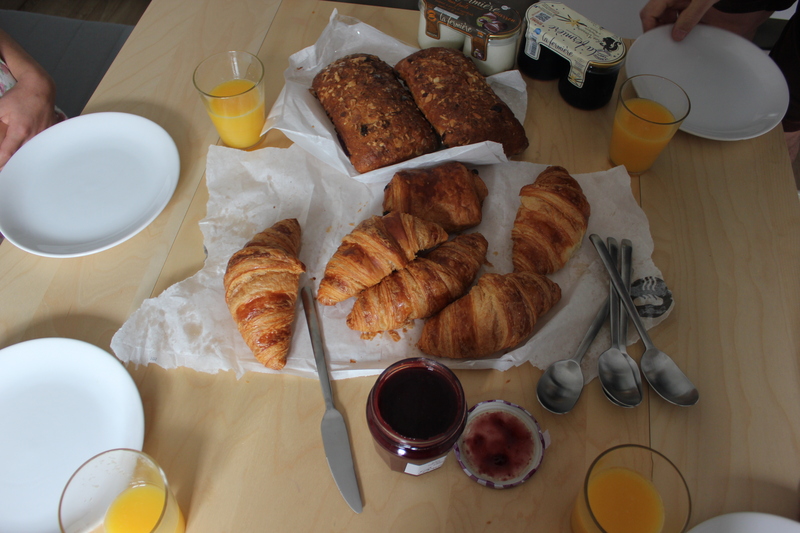 Dad would run downstairs and pick up a handful of warm croissants, jam, bread and orange juice and bring it back for us to devour. This was perhaps even tastier than the restaurant breakfast as we knew the croissants were always fresh! 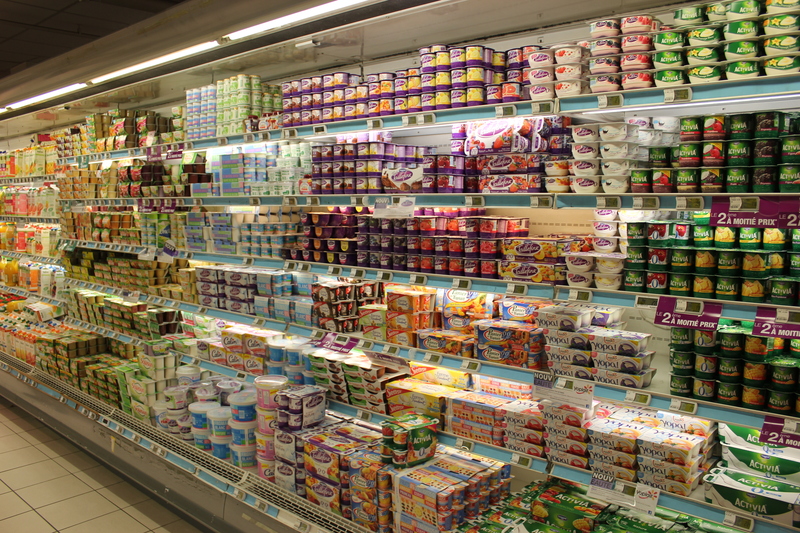 In doing this we were also able to enjoy some of the exceptional yogurt France produces. 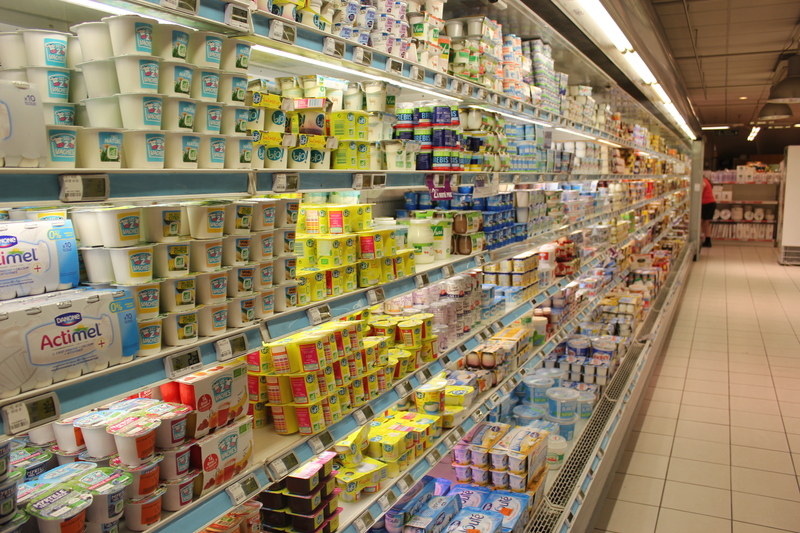 I LOVE the yogurt in France, and so do the french, as shown by the elaborate yogurt isle in the local shop! It’s often sold in individual serves in little terra cotta jars. The terra cotta is what really excites me, pot set yogurt is incredible, and the specs of vanilla bean is so refreshing to see. I also love to keep these jars as a memory of my trips to Paris. So when you guys decide to visit Paris, never skip out on the breakfasts! Its definitely one of the most exciting parts of visiting Paris (along with the amazing historical sites of course!) But also never not offer your breakfast loving friends breakfast when they stay over, because they will remember! Oh my! I’m so jealous! Look at those freshly baked breads and coffee!!!!!!!!!!!!!!!! !